Give yourself an advantage when you buy right. 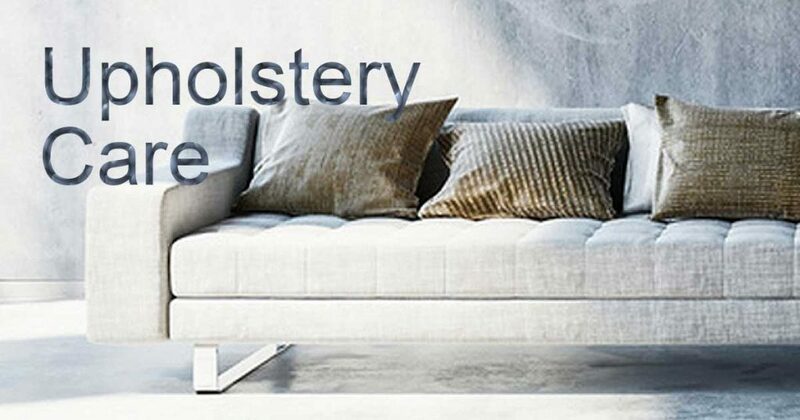 Choose the right fabric for the right place and you make your upholstery maintenance task easier. Not only that, but choosing fabric that is appropriate for your lifestyle and the upholstered piece can extend the furniture’s life. For example, synthetic fibers are a better choice for upholstered furniture that sits in areas of heavy usage. If you have pets, choose fabrics that do not have loose weaves or too much texture. The best form of fabric protection is prompt attention to spills. A lot of work is done for you when the upholstery fabric undergoes the finishing process at the factory. where it is usually treated with soil and/or water repellents. Some form of mildew inhibitors may also be used. Additional fabric protectors may also be applied to your upholstered furniture in the store or at home. While this helps with maintenance and care by keeping spills from being absorbed into the upholstery fibers right away, it is not a substitute for prompt cleaning of a soiled piece. Don’t let it give you a false sense of security. Always clean up any spills or stains in a timely manner, and follow manufacturers’ instructions for proper care methods. You can extend your upholstered furniture’s life by periodically turning over the loose cushions. What can be simpler? Yet this easy maintenance method allows for an even distribution of wear and tear and your cushions won’t develop indentations right away. Caring for cushions by fluffing them after you’ve cleaned also helps keep them in shape. You can also use a brush to gently whisk the dirt away. Make sure to always use a soft bristled brush so that you don’t snag the fabric. 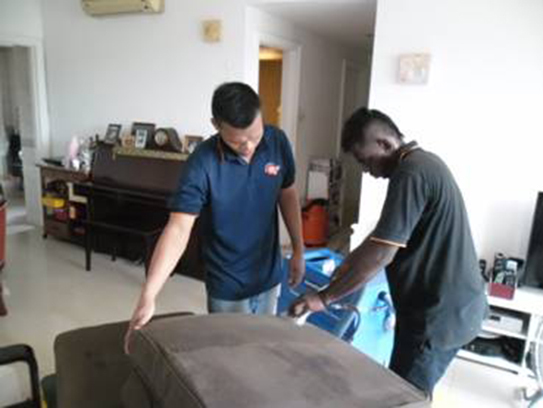 While regular care does a lot for your upholstered furniture’s maintenance, accidents will happen. Blot any spills immediately with a clean folded towel: never rub, but blot gently. Sometimes this is enough to get rid of the stain completely, especially if the fabric has been pre-treated with a fabric protector. Always test in an inconspicuous area before you use any product for spot cleaning, and check the manufacturer’s instructions to see if you need a water based or solvent based cleaner. It is best to use a mild cleaning product. Apply with a soft brush in a circular motion to work into the fibers, then vacuum when dry. 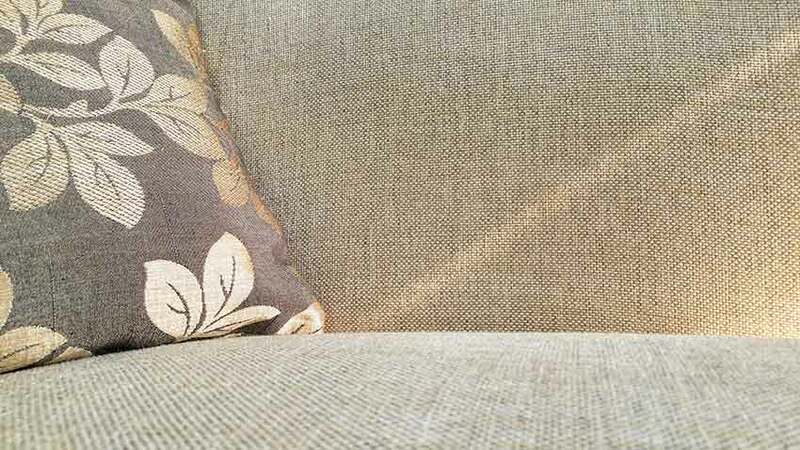 Too much sun can damage your upholstery fabric, causing it to fade and even fray. Try to position it so that it doesn’t sit in the sun for extended periods of time. This is especially true for silks or other delicate fabrics. 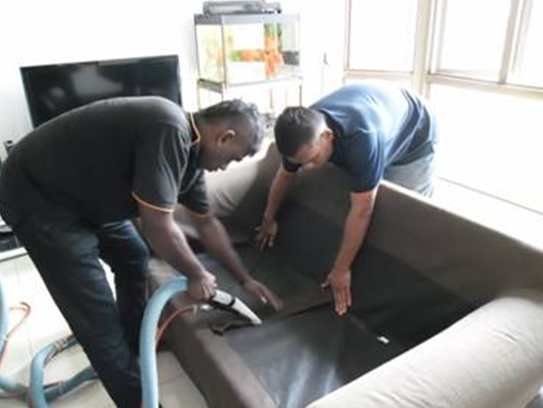 Homecleanz Restore the beauty and freshness of all your upholstered fabrics.